Fitness: Does school keep our kids slimmer and healthier? As much as children enjoy the carefree months of summer, those lazy, hazy days often mean less sleep, fewer fruits and veggies and more time spent in front of a screen. And while parents have also been known to rejoice in the annual break from the routine that dictates much of family life during the school year, several studies note that children have a tendency to return to the classroom in poorer physical condition and with accelerated weight gain compared to the months spent in school. This trend is especially pronounced among children who are already overweight and/or who come from lower-income families. Interventions in public schools, through meal programs and increased bouts of structured physical activity, have contributed to a modest drop in obesity rates among Canadian children (from 30.7 per cent in 2004 to 27 per cent in 2013). But much of those efforts to combat sedentary behaviour fall by the wayside during the summer when children lack the daily structure that occurs when school is in session. A group of researchers from the department of exercise science at the University of South Carolina’s Arnold School of Public Health has labelled this phenomenon the Structured Days Hypothesis, which suggests that our kids are less healthy without such structure. “It is plausible that, in comparison to school, a more autonomous and unhealthier home environment operates and thus allows children to self-select and indulge in a variety of unhealthy behaviours … which, compounded over an uninterrupted three-month period, results in adverse health outcomes (such as accelerated weight gain) that are not manifested during weekends or the nine months of the school year,” the researchers said. They contend that “a preplanned, segmented and adult supervised compulsory environment” is what kids need if we want to get them off the couch and moving. For many children, this type of environment is a given from September to June when they participate in recess, school-based physical education several times a week, active travel to and from school and set meal and snack times. The same can’t be said for the other three months of the year. To verify their hypothesis, the researchers reviewed studies that compared the weekday and weekend activities of children. Basing their theory on the suggestion that summer activity patterns are similar to what happens on weekends during the school year, the researchers noted a general trend of kids being less active on Saturday and Sunday compared to Monday through Friday. Over 80 per cent of the studies reviewed supported their hypothesis, including studies that saw time spent in front of the television increase by 60 minutes per day on weekends. Particularly revealing is data indicating that 52 per cent of the 15,000 European children polled spent more than two hours a day in front of a TV or computer screen on weekends, while only 20 per cent spent that amount of time in front of screens during the week. As for bedtimes, studies reveal they routinely were pushed back by 45 to 60 minutes on weekends. Dietary patterns also changed on weekends, with fruit and vegetable consumption decreasing and children being more likely to consume a greater percentage of their calories from fat and food with little nutritional content. Despite this dip in healthy behaviour when the school week wraps up, it seems to have little consequence from September to June. 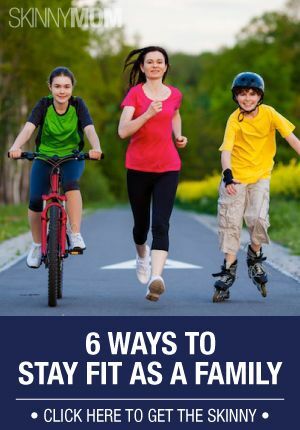 But when these sedentary habits stretch out over several months in the summer, kids return to school a little heavier and a little less fit. And while some kids go from school to camp or other organized summer activities, there are plenty of families that can’t afford or don’t have access to programs that add structure to the summer months. Instead, children from these families spend their time at home, where they are more likely to be sedentary. The solution, according to the researchers, isn’t to make every day of the summer like a school day. Rather, the study is a wake-up call for parents to provide their children with more opportunities to participate in structured and unstructured play for the recommended 60 minutes a day during the summer break, and to be more vigilant about stocking the fridge with healthy choices. It’s clear that, left on their own, most kids are content to sit in front of a screen, often snacking at the same time — a habit that can extend well past their normal bedtime during the summer months. It’s ironic that we rally behind incorporating more physical activity into the school day and better regulation on meals sold in schools, but aren’t as vigilant about our kids’ habits over the summer. Kids don’t grow out of a sedentary lifestyle. Rather, they grow up to be sedentary adults, with extra weight, an increased risk for chronic disease and a shorter lifespan. The answer is the realization that kids need structure to their summer, along with a renewed commitment by communities to provide affordable, accessible recreational opportunities for children of all ages.